PROFESSIONAL WORK IN FULL COMPLIANCE WITH THE SAFETY REGULATIONS. For any installation or maintenance of thermo hydraulic systems, adequate skills and a high level of professionalism are required, provided only by experienced and highly qualified personnel. AirClima is a company specialized in thermo hydraulic services, in particular in the installation and maintenance of thermo hydraulic systems for individuals, businesses or shops and small retailers. Based on years of experience of our technical staff, we are able to act quickly and expertly ensuring you a total compliance with the current safety standards. Indeed, we can guarantee qualified installation of sanitary systems, allowing you to choose from a wide range of products from the best brands, always paying great attention to the issue of energy savings, and finally giving you technologically advanced solutions, for maximum effectiveness. Our entire offer is cropped on your specific needs and oriented to the final result and the characteristics of use, as well as to the quality and durability of the products during time and to a comprehensive optimization of maintenance costs. As professionals we offer only high quality materials, so as to provide a total guarantee of the service provided. 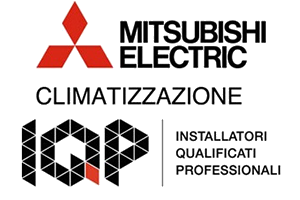 Book an appointment at home to Milan to talk to our experts and get some advice on the system best suited to the plumbing and heating your home or at your premises. If you book a visit to your home, one of our technicians will be to assess the situation and propose for the water-heating system that best suits your needs.